President Rodrigo Duterte is currently in South Korea for a 3-day visit. He arrived there Sunday morning. The official visit includes a meeting with the Filipino community and talks with South Korean President Moon Jae-In. According to reports, Duterte will seek for “greater partnership in defense and security, trade and investment, and political cooperation” during his meeting with Moon. Important documents will also be signed during this trip, including a loan agreement on the new Cebu International Container Port Project. But before his meeting with Moon today, Duterte’s first agenda was to meet the Filipino community in South Korea, which happened yesterday, at the Grand Hilton Hotel and Convention Center. 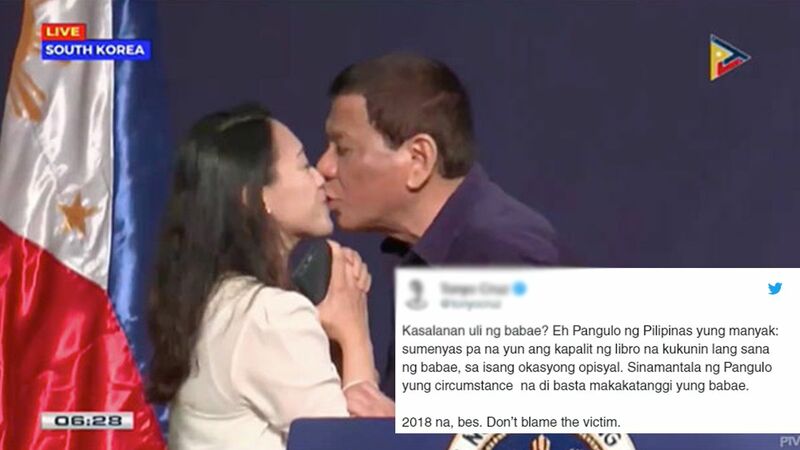 The event became a trending topic online because the president ended the meeting by kissing an overseas Filipina worker on the lips. Yes, on the lips. 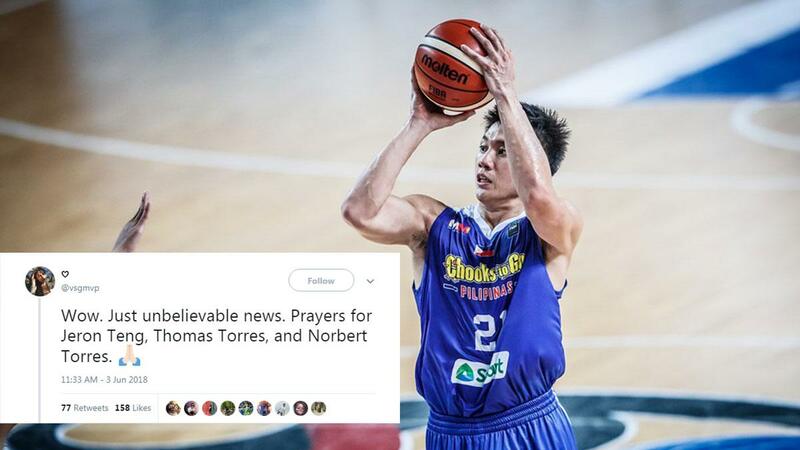 The Filipina involved released an official statement earlier today. “Walang malisya,” she explained. Meanwhile, the president’s actions drew various responses from celebrities, personalities, and even people from the media and the academe.